Home / Self improvement / How do you read a nutrition label? Knowing how to interpret nutrition labels will help you to make healthier food choices and eventually will lead you to a more balanced diet. People around the world examine food labels for a range of reasons. 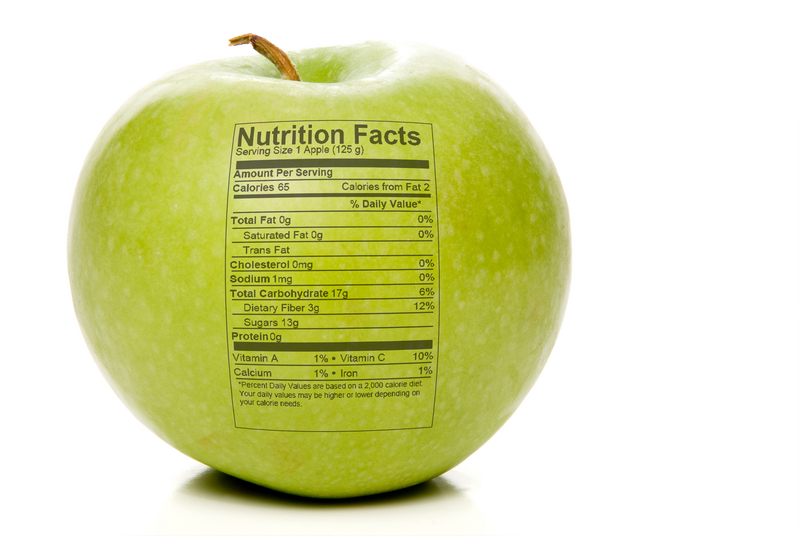 Although these reasons might differ the important thing is to know how to read a nutrition label correctly. Below we will explain how you can build label reading skills easily but effectively. I will use a real example in order to make it more understandable. The information you will find in this top section of the product will vary since each product contains specific information on serving size, nutrient information and calories. The important thing here is to note the serving size/portion as well as the amount of servings included in the packet. After that, consider how many servings you are eating from this food. In the sample provided, 1 serving equals to 1 slice or 47gr while the whole packet contains 6 slices. Calories represent a measurement of how much energy you consume from the serving size of this food. This section can help you control your weight since you will know approximately how much calories you consume. Also the calories from fat for this serving size are 90kcal. This means most of the calories of this product are coming from fat. The nutrients that are listed in the light blue table are the ones that people eat in adequate amounts and sometimes even more than the recommended. Eating plenty of fats, saturated fats, trans fats, cholesterol as well as sodium is possible to increase the risk of some diseases, like coronary disease, high blood pressure and some kinds of cancers. For this reason, health professionals recommend you to keep your intake of these nutrients as low as possible. Most people do not consume adequate amounts of these healthy nutrients. Specifically, fiber, vitamins A, C, calcium, iron and the rest minerals are low in western diets. Health experts are forcing people to eat adequate amounts of these nutrients since they can be beneficial for your health and sometimes may lower the risk of some other conditions. For example, by consuming enough calcium, you may reduce the risk of osteoporosis, a situation that results in fragile bones alongside with ageing. What is more, diets rich in fiber have beneficial effect on bowel function and weight management. Furthermore, eating a diet high in fruits and vegetables (rich in vitamins, minerals and fiber) can reduce the risk of heart diseases since these foods are low in saturated fats and cholesterol. This section shows the percentage of every nutrient included in one serving of this specific food, in accordance to the daily recommended amount. According to FDA regulations, if you want to consume low amounts of a specific nutrient, such as trans fats, saturated fats, cholesterol and sodium, opt for foods with a %DV of these nutrients as low as possible. On the other hand, if you want to increase your intake of some specific nutrients such as vitamins, opt for foods of a high %DV for these healthy nutrients. FDA has mentioned that “5% or less is low” and “20% or more is high”. It is worth noting that the %DVs are based on a 2000 calorie diet. This amount differs from person to person according to gender, age and physical activity level. You may not know how many calories you need to take from your food to maintain your body weight, like most people. However, you can still use the %DV as a reference whether you consume less or more that 2000calories. This is because, the %DV only tells you if a food is high or low in a specific nutrient. Last but not least, additionally to the nutrition labels, most of the foods today offer a content claim from the manufacturer (usually on the package), which are strictly examined by FDA.